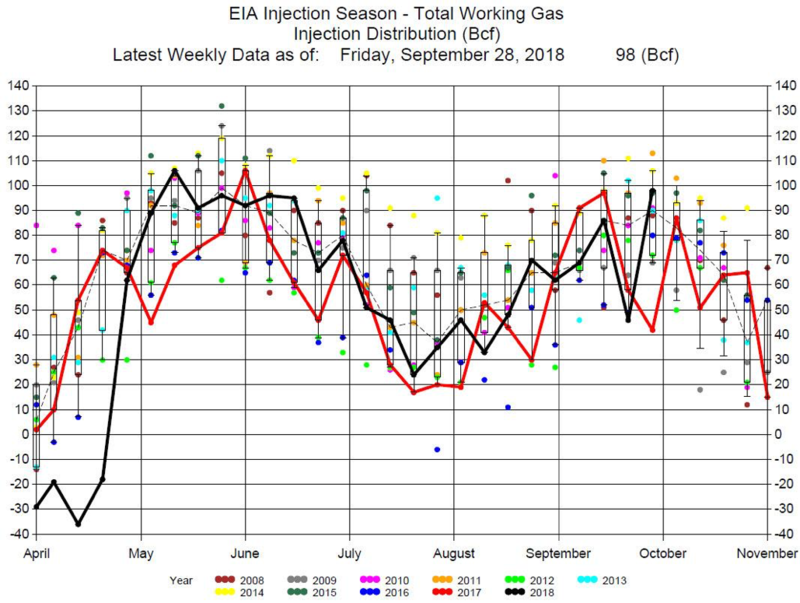 The EIA reported a 98 Bcf Injection for the week ending September 28, 2018. The injection was greater than the average, 90 Bcf, for this week of the year, and greater than the average of expectations of an 88 Bcf injection. Expectations had a range from a 77 Bcf injection to a 99 Bcf injection. Prices dropped 6 cents with the release of the report as the 98 Bcf injection was much greater than expectations. Prices remained near the lows for the remainder of the trading day finishing down 4.5 cents. In the last three weeks prices have rallied by 43 cents (15%) before today’s pull back. Some analysts believe the next few weeks will have 100+ injections adding more downward pressure on prices. We are skeptical as injections reduce during October. 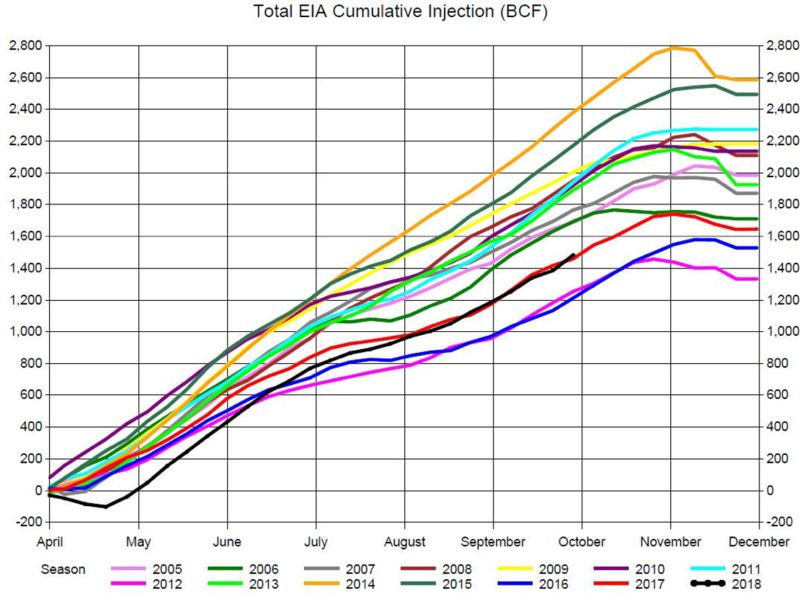 (See the Injections Distributions chart below.) 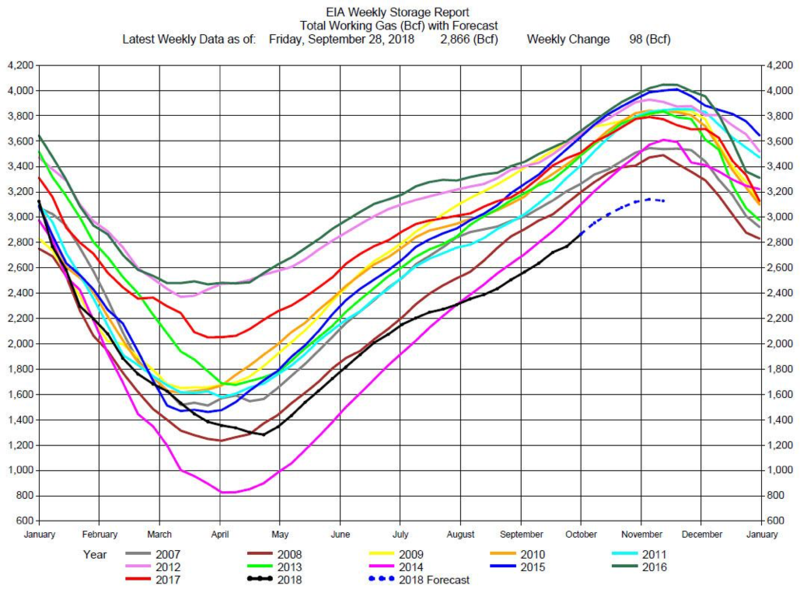 And even if there are significant injections during the last 5-6 weeks of the Injection Season, storage will still end at record lows by November. 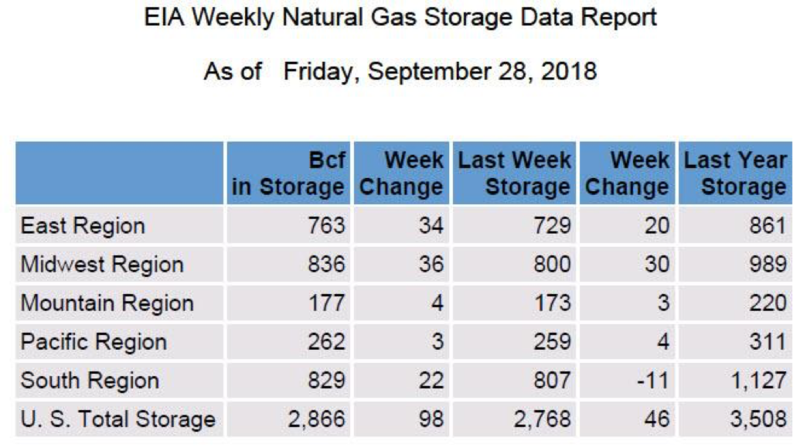 (See the Storage Report below.) This will be bullish on prices so we recommend consideration of long positions in the outrights or calendar spreads..